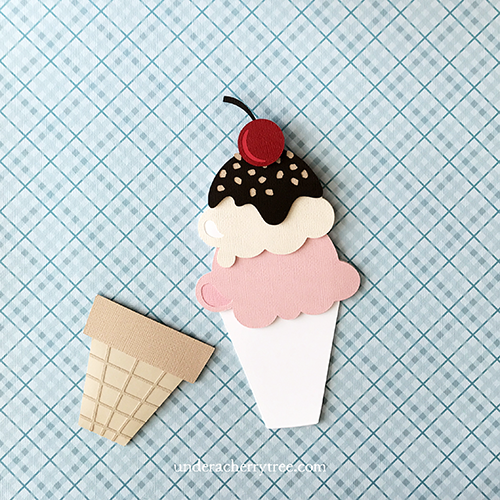 Last Sunday, I shared an ice-cream cone on Instagram and I thought I would share a couple more pictures, and some info on how I made it on the blog today. 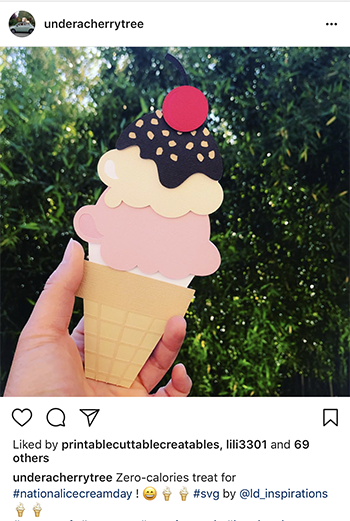 The ice-cream cone is from the Get Your Float On cut project that LD released a couple of weeks ago. 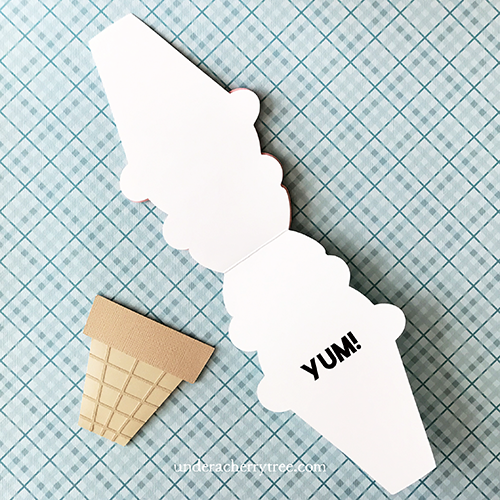 The original shape is that of a gift card holder but I modified and turned it into a shaped card with a sleeve. 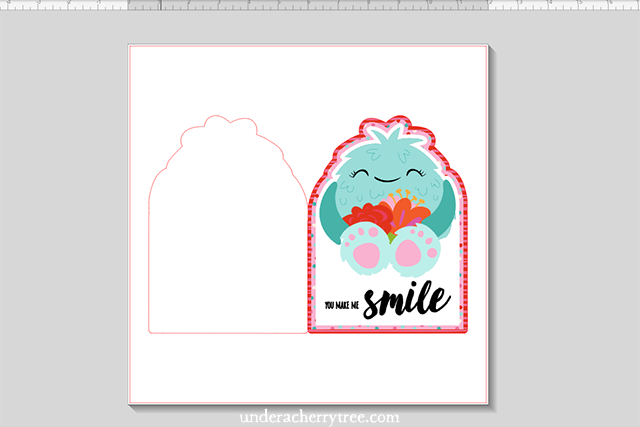 After modifying the original shape, I reduced the resulting shaped card by 12% so that the card base can fit onto a letter-size sheet of cardstock. 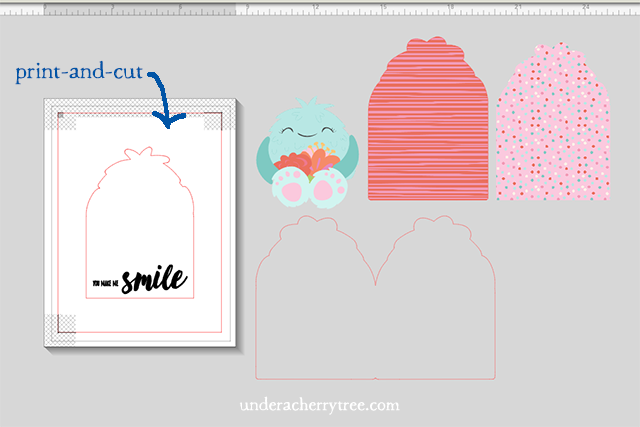 All the layers were cut out using my Silhouette Cameo. For the first time in many years, we went into Summer break without any plans to travel. The past year have seen us traveling to several countries and so we thought we would stay home and relax a bit. It turns out that so far, Summer has been anything but relaxing. I didn't even sign the kids up for many activities but still, I find myself driving them around everywhere and being stuck in traffic all the time. Being away from my crafty toys has been rather depressing but thanks to Hubby, who offered to take the kids out, I managed to steal some time to play. 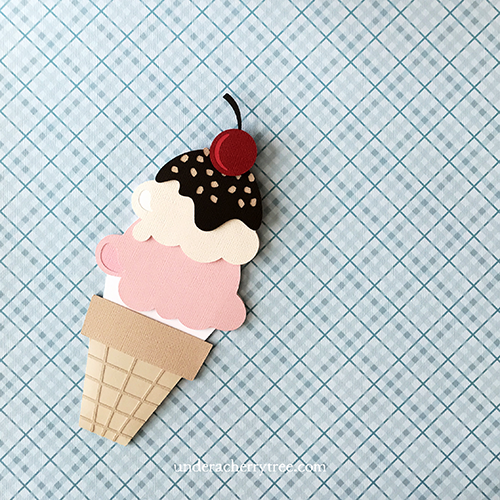 LD recently released the I Scream collection which comes with some scarily adorable ice-cream monsters. One look at the Cut Set and my heart melted at the sight of this blue fluff ball. Have you ever seen a sweeter monster? She is so cute! 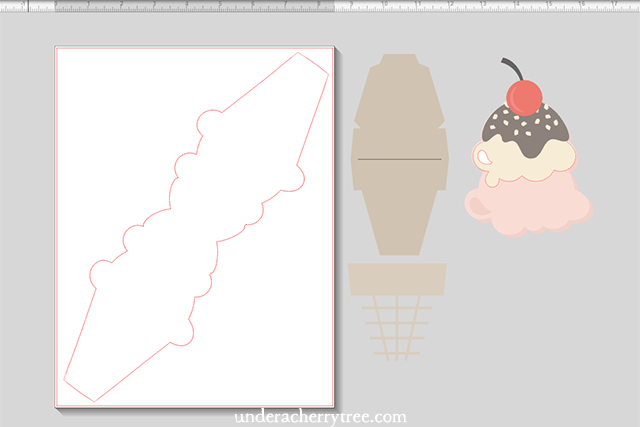 Using Silhouette Studio DE, I came up with a quick shaped card. 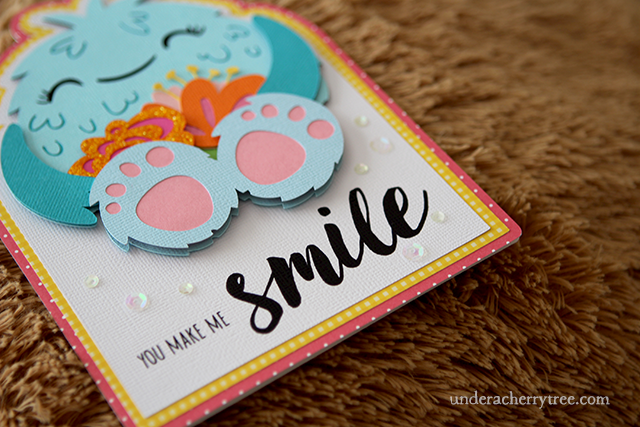 I print-and-cut the card front that holds the sentiment, and cut out the other layers out of patterned and colored cardstock with my Silhouette Cameo. Assembling the card took a while but I *heart* this monster so much, I'd totally make another.